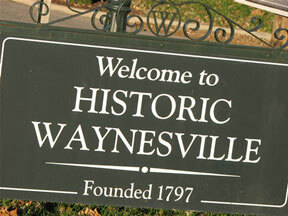 All year round, authentic hauntings and paranormal sightings occur in the historic village of Wayensville, Ohio. But to make the Halloween season more special, the village is hosting two tours that are sure to make October a little spookier. Morgan, who has collected many of the stories visitors hear on the tour has also witnessed eerie occurrences in her time as a guide. Experience Ohio’s most haunted village first-hand as you tour historic buildings along Main Street and throughout the Quaker Hill area of Waynesville while learning of ghostly encounters past and present. You begin at the Museum at the Friends Home, a restored boarding home which looks very much as it did when retired Quakers and single school teachers lived there around the turn of the 20th Century. Enjoy fine dining in the historic Inn, with scary tales of the Hammel House past (and present). After dinner guests will take a ghostly walking tour of downtown Waynesville. The evening concludes with coffee, cookies and more ghostly tales as well as a tour of the Museum at the Friends Home. Dinner at the Hammel House Inn includes a harvest salad, Inn Keepers dinner pudding (chicken in a sherry cream sauce with celery suffusing) topped with herb bread crumbs, zucchini and carrots and pumpkin roll for dessert.